SANDY, Utah, March 20, 2019 /PRNewswire/ -- ArbiterSports, the established leader in athletic management, today announced that it has been designated as the official athletic department management platform of the California Interscholastic Federation (CIF) as part of a new two-year agreement. One of the core objectives of the new partnership is to provide schools with a single schedule entry point within the state. "This relationship will enable us to wrap our arms around our schedules, to make them more broadly available and ultimately to reduce the workload associated with multiple schedule entries at our school sites," stated CIF Executive Director Roger L. Blake. "It represents a major step forward in realizing our vision of an 'enter once, distribute many' scheduling process." "ArbiterSports has a long history of serving assigners and schools in California, and we're thrilled to partner with CIF and expand the benefits to all parties," said ArbiterSports President and CEO Jeff Triplette. "The nee to consolidate schedule entry to a single portal is a common request in every state, and CIF has always been on the forefront nationally at addressing such issues." "The ArbiterSports suite of state-of-the-art products promise to streamline processes for our member schools and districts, from event scheduling to cashless payment of officials and event workers," added Blake. The CIF was created in 1914 and is the governing body for high school sports in the state of California. CIF is uniquely positioned to foster student growth in values and ethics. CIF's ideal of "Pursuing Victory with Honor," provides the opportunity to influence the actions of the athletic community. CIF strives to promote equity, quality, character and academic development. CIF is a nonprofit federation and the state office, located in Sacramento, Calif., represents the interests of its member Sections. The 10 Sections represent geographic regions within the state: Central, Central Coast, Los Angeles City, North Coast, Northern, Oakland, Sac-Joaquin, San Diego, San Francisco and Southern. CIF represents 1,606 public and private member schools and more than 838,000 student-athletes. CIF conducts Regional and State Championships in badminton, cross country, football, volleyball, tennis, wrestling, basketball, soccer, swimming & diving, track & field, golf and water polo. 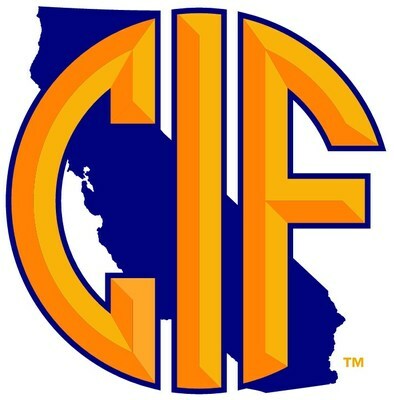 CIF Sections conduct championships in more than 22 sports.